The Stones may have been singing primarily of emotional rather than physical shelter, but the refrain could easily apply to today’s investment climate. A glance at the daily headlines will tell you: a storm is brewing. Now’s a good time to conduct a “deep dive” into a proven method for protecting your portfolio. I’m talking about dividend stocks. Many investors underestimate their appeal. Below, I’ll explain exactly how to shelter your nest egg from turbulence — while simultaneously generating robust income. But first, let’s take a quick look at the darkening horizon. The litany of dangers is extensive: the escalating U.S.-China trade war; the Brexit mess; slowing global growth; deepening chaos in American government; an aging economic recovery that’s overdue for a downturn; uncertainty over interest rates and inflation; North Korean saber-rattling; Russian expansionism; ballooning corporate debt; political instability among major oil producers in the Middle East and South America; a fractured Atlantic alliance; projections of a dramatic decline in corporate earnings growth… the list goes on. That’s why, in my view, perhaps the most daunting threat right now are weak projections for corporate earnings. According to the latest estimates from the research firm FactSet, the S&P 500 in the first quarter of 2019 is on track for an earnings decline of 3.9%. In previous quarters, strong earnings results have come to the rescue of a wobbly stock market, like cavalry in those old Westerns. This time around, investors can’t expect salvation in the last reel. Last year was tough on investors. The S&P 500 and Dow Jones Industrial Average fell 6.2% and 5.6%, respectively, for 2018. Both indexes posted their biggest annual losses since 2008, when they plunged 38.5% and 33.8%, respectively. The tech-heavy Nasdaq Composite lost 3.9% in 2018, its worst year in a decade, when it fell 40%. The market’s swoon was particularly bad in the fourth quarter of 2018, when the S&P 500 and DJIA plummeted 13.9% and 11.8%, respectively, their worst quarterly performances since 2011. The Nasdaq plunged 17.5% in the period, its biggest quarterly decline since 2008. And so far this year? The SPDR S&P 500 ETF (SPY) has generated a year-to-date return of 16.6%. The market has rebounded from last year’s dismal performance, which teaches us this timeless lesson: Don’t buy stocks that you’d probably sell in a panic. You should methodically build an all-weather portfolio that you’d want to hold in up or down markets, with dividend stocks as a pillar. 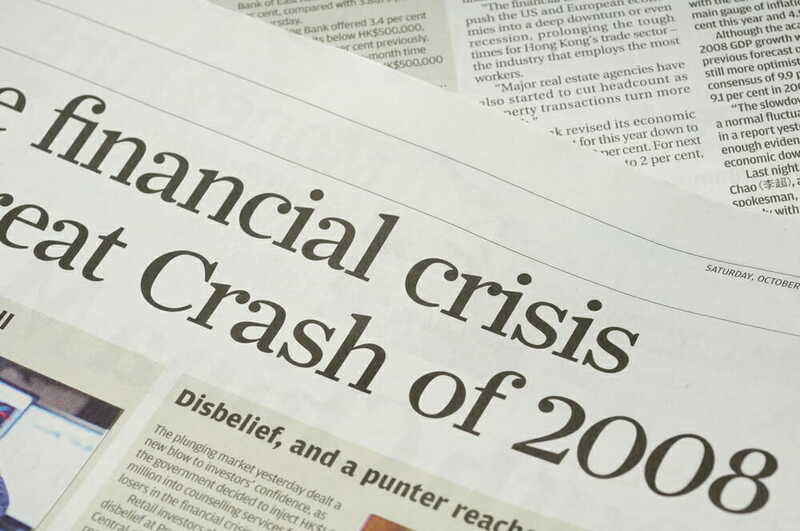 I don’t think anything as devastating as the global financial crash of 2008 is in the cards right now, but you must contend with the prospect of additional market sell-offs. Rather than obsess about Federal Reserve policy, focus instead on the underlying fundamentals of your investment choices. To prepare for the market volatility ahead, you should pare back your growth stock holdings and elevate cash levels. That said, quality dividend-paying stocks still have a lot to offer. Unlike bonds, stocks offer potential dividend growth and share-price appreciation. Moreover, rising interest rates will hurt bonds the worst, as more attractive fixed income opportunities emerge. The key is to pick the right dividend stocks or funds. It’s a common mistake to solely focus on the obvious choices, such as real estate investment trusts (REITs), master limited partnerships (MLPs), and utilities. Think outside the dividend box. One often overlooked income-generating sector is technology. After their recent stumble, tech stocks are enjoying renewed momentum. The benchmark Technology Select Sector SPDR Fund (XLK) has racked up a year-to-date return of 23.9%. Tech’s rebound is being driven by increased IT spending among corporate clients, confident consumers who are gobbling up the latest gadgets, and a slew of mega-trends such as the cloud, 3D printing, artificial intelligence, virtual/augmented reality, autonomous cars, and the Internet of Things. Conservative income investors tend to shy away from the technology sector, because they perceive it as too risky and volatile. However, the quickening pace of innovation is driving earnings growth and cash flow in the tech sector, prompting many Silicon Valley giants to offer not only capital appreciation but healthy dividends as well. If you want to retire comfortably, you need to build a multi-faceted portfolio that not only includes classic dividend payers (e.g. REITs, MLPs and utilities), but also stocks from other less obvious sectors that bestow dividend growth and the potential for capital appreciation. Contrary to popular misconception, the technology sector fits the bill on all counts. When looking for dividend stocks, it’s tempting to gravitate towards securities with the highest yields. This is not always the smartest strategy; there’s more to a worthwhile dividend stock than just a high yield. Also keep in mind, the highest yielding stocks are generally expensive, because income investors used them as bond substitutes during the prolonged era of low rates. Stocks that can generate steady and sustainable dividend growth, rather than the fattest yields, are better bets for dividend investors. Sure, robust dividends are offered by well-known companies with solid balance sheets. But income investors often lose sight of the fact that high dividends also can be used by new or inherently weak companies as bait for investors. 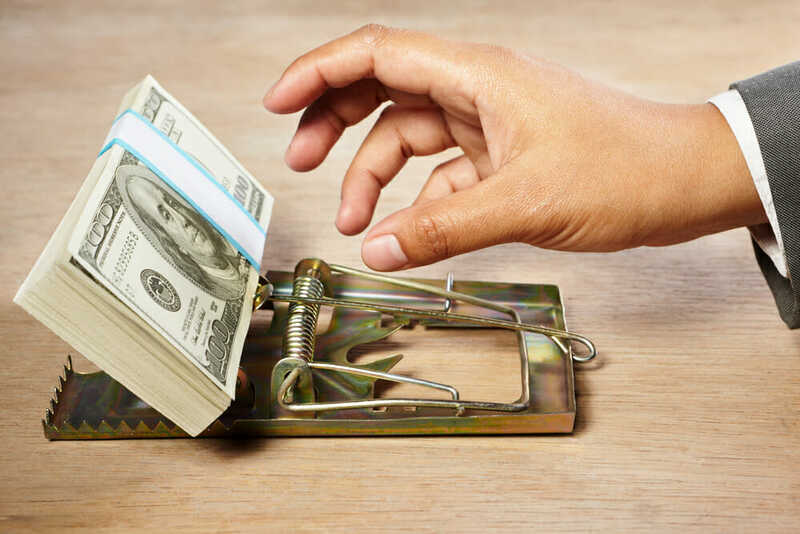 A “dividend trap” is when investors hungry for yield are suckered into a high dividend yield, only to eventually discover that the underlying company is deeply troubled. That’s when the dividend gets cut or eliminated and unsuspecting investors get hurt. Always look for healthy payout ratios, plenty of cash on hand, and a history of earnings growth. These quality dividend payers demonstrate greater resilience during an environment of rising rates and market volatility. The dividend yield is calculated by taking the yearly dividend payment and dividing it by the stock price. For example, if the stock throws off $1 in dividends annually, and the share price is $50, the dividend yield is 2%. One red flag is when the company pays a considerably higher dividend yield than its peers. Also keep in mind that yield moves inversely to price, which means extreme share price movements affect the dividend yield. Consequently, event-driven declines in price can boost the yield. That’s when you need to decide if the fall in price offers an opportune entry point or if it’s a warning to shun the stock. If the balance sheet and fundamentals remain sound, a spike downward in price could be an opportunity to scoop up a high dividend stock while it’s on the bargain shelf. Conversely, a stock in a sustained downward trend could prove toxic. The yield rises as the stock price drops, which makes the yield tempting, but the dividend gains are offset by capital losses. 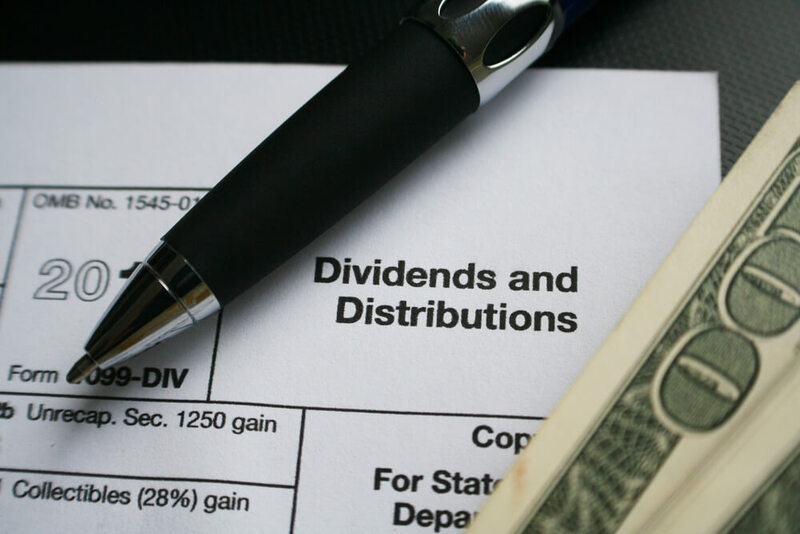 When doing your homework on a dividend stock, it’s crucial to examine the payout ratio. The payout ratio reflects how much of a company’s net income is devoted to dividend payments. For example, if the company in a quarter generated earnings per share of $1.00 and paid a dividend of 60 cents per share, the payout ratio would equal 60%. A low payout ratio can indicate the company is pursuing a long-term growth strategy by using most of its earnings to reinvest in the company. On the other hand, a high payout ratio can indicate management’s desire to share profits with investors. Always be suspicious of payout ratios over 100%, because it means the company is paying out more than its earnings. The company is going into debt simply to pay shareholders, an untenable situation. Another red flag is low cash on hand. Dividends can’t be paid without cash and a company that must quickly raise cash to cover a dividend is probably heading for trouble. Declining earnings combined with a high cash burn rate over a prolonged period are signs that the dividend may need to be cut in the future. The so-called “Dividend Aristocrats” always provide fertile ground for income investors. To earn the honorific Dividend Aristocrat, a company must typically have raised dividends for at least 25 years. More precisely, the company needs to have a managed dividend policy that increased its dividend every year for those 25 years. These dividend powerhouses constitute the S&P 500 High Yield Dividend Aristocrat Index, an official index of the 50-plus highest dividend yielding stocks in the S&P Composite 1500. This Aristocrat Index is maintained by Standard & Poor’s, which every December updates the list of companies that make the grade. By its very nature, a Dividend Aristocrat tends to be a large and stable blue-chip company with a strong balance sheet. Many of these companies are familiar names that produce household brands. Because of their strong balance sheets and financial wherewithal, they tend to weather market ups and downs. During 2008, the Dividend Aristocrat Index fell 22%, whereas the S&P 500 fell 38%. That’s just the sort of shelter you need as storm clouds threaten again. John Persinos is managing editor of Investing Daily.